We welcome our new students, staff and families to St Patrick’s Marist College and I am very excited for the year ahead. 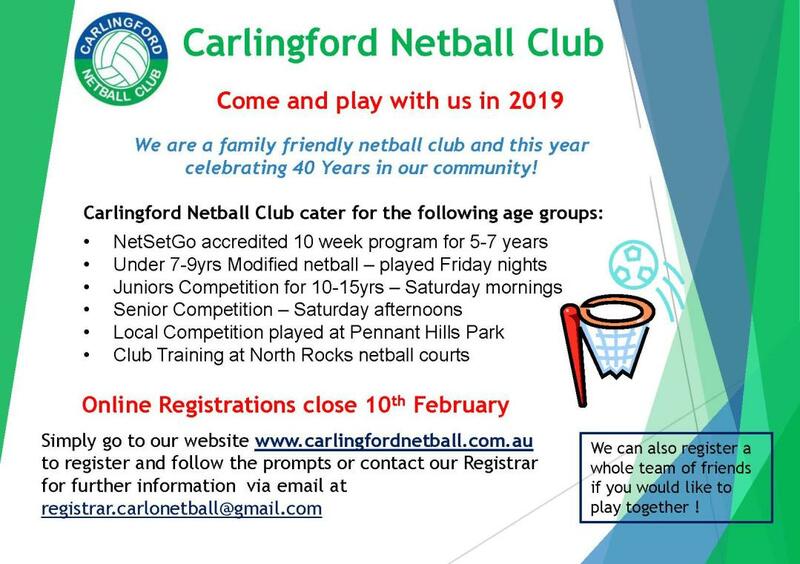 We have had a wonderful start to 2019. There is such a positive energy both within and outside the classrooms and our new Year 7 students have settled in really well. At the start of the year, staff came together and we were reminded of our role as teachers and staff in a Catholic School in the Marist Tradition and of our collective and individual responsibilities in the holistic development of each young person: in forming and transforming young people to be people of and for God. We continue to have our Mission, Vision for Learning and Wellbeing Framework driving our focus and direction. This week we gathered to recognise and congratulate our 2018 High Achievers. What wonderful graduates who exemplify what it means to be a Marist. As I look at these students, I don’t just see a HSC result. 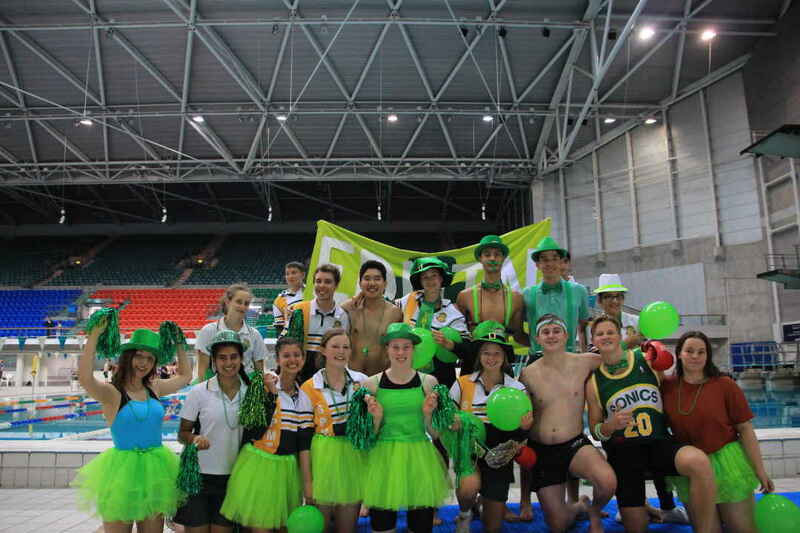 I see a group of young people who took the opportunity to be part of the full experience of St Patrick’s Marist College. Through cultural pursuits, in sport, through their service to the community and many took roles as leaders both formally and informally in the School. While honouring these individuals we also recognise the outstanding success of the whole cohort. Last year we were recognised in the SMH for our outstanding growth moving from 140 to 88 in the state, the third ranked Catholic Systemic School. In 28 of the 30 courses offered we were above state average, with 52% of students named on the Merit List, 24% of students gaining an ATAR above 90 and 60% Band 5 and 6 results. It was very pleasing to see Standard English ranking 10thin the state and General Mathematics 20th. All Rounders (Band 6 in every subject) Jonathan Nakad and Chloe Bou Serhal. Importantly I want to acknowledge all of the students that performed well above what was expected. They are the silent heroes that don’t get acknowledged in the newspapers and on High Achievers days, but we recognise their commitment, hard work and achievements and our staff are very proud of each of them. I thank the staff for their dedication, the many, many extra classes before and after school and during the holidays, their willingness to respond to last minute requests for assistance and feedback and their genuine commitment to ensuring that all of our students achieved their personal best. As always, I remind students as we start the year that we own our own behaviour. That together we create the great Marist spirit that is evident particularly in our relationships with one another. We are responsible of our learning and our teachers are there to help us be successful. 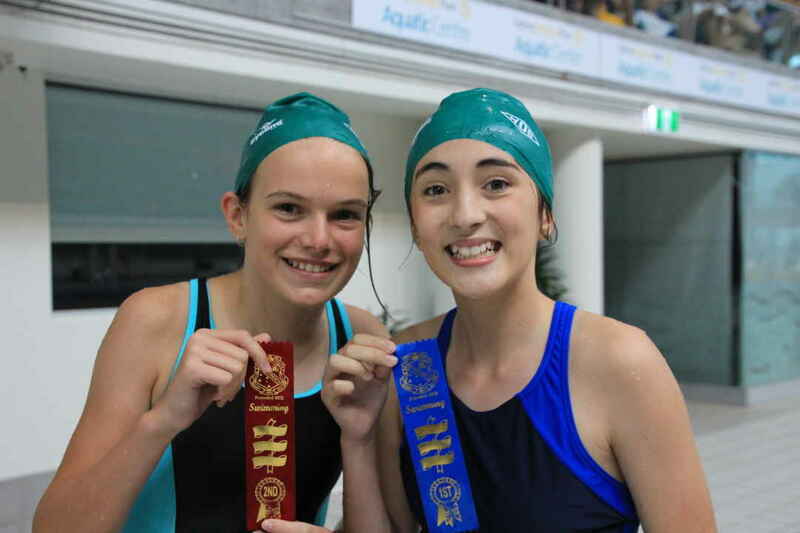 Another awesome St Patrick’s Marist Swimming Carnival. I could not be prouder of our students. Their enthusiasm, participation and respect for themselves, each other and the environment were outstanding. A very special thankyou to: Mrs Pavlovich for her organisation of the day and to the parents and families who attended. Our Year 12 House Captains exemplified all that we wish to see in our College leaders. 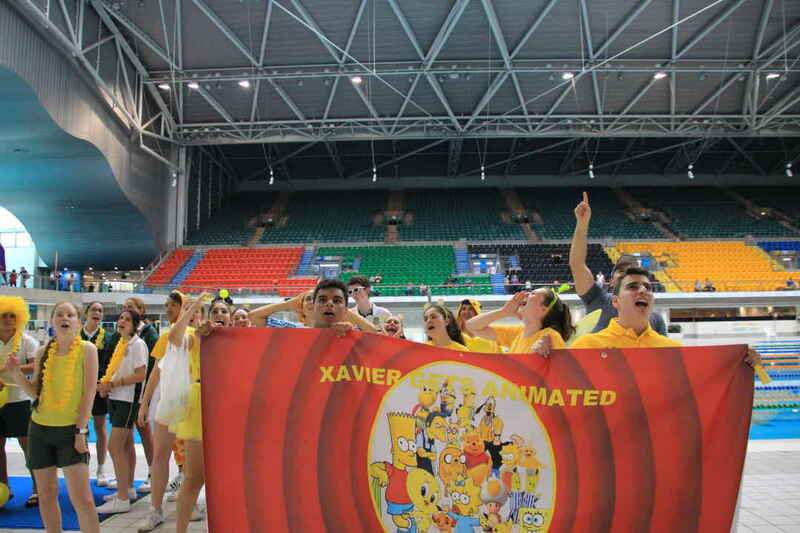 Their house performances were creative and entertaining and they rallied students to participate. Congratulations to Edwin for taking first place in the carnival and to Paul and Edwin as joint winners of the Spirit Cup. As we started the year together we have talked about our individual and collective responsibility in creating a positive tone both in and out of the classroom. We have no tolerance for behaviours or actions that impact on the wellbeing or happiness of others. We will continue in our education and discussion with our students about the use of mobile technology and social media to inflict intentional hurt on others, or on occasions posting things that impact on ourselves. 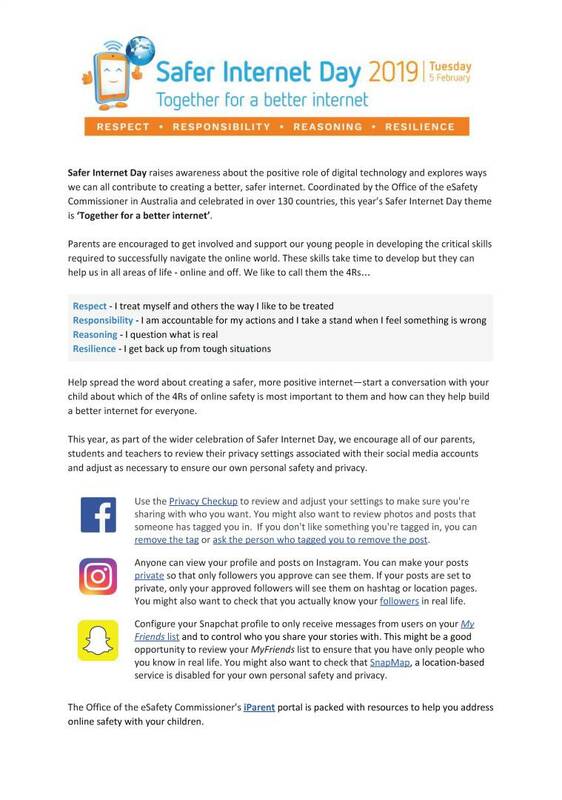 Please keep the conversation going with your children, know how they are using social media, who they may be following, let us know immediately if you have any concerns. From time to time you may have a concern or complaint. I encourage you to contact the College so it can be resolved as soon as possible. For subject specific matters contact the relevant Leader of Learning KLA, for general or Wellbeing concerns the relevant Leader of Learning Pastoral or a member of the College Leadership Team. Names and information can be found on Page 1 of the College Diary. Our afternoons on Kirby Sreet are very congested, it is important that we always obey the traffic and parking rules, not only providing good role modelling for our students as future drivers, but ensuring we maintain the positive and respectful relationships in our community. Mr Paton will be sending you an email regarding parking and driving in Kirby Street. There are very clear ‘No Parking’ signs. We have always had a very positive relationship with our neighbours; however there is mounting frustration at parents parking across driveways and in ‘No Stopping’ or ‘No Parking’ zones. If the matter is not redressed, the council will restrict parking on Kirby Steet to residents only. There is supervision in the bus bay until 3:45. It is not essential that you pick up at 3:15, coming a little later will ease the congestion. TWO DAYS ABSENCE PER MONTH = ONE MONTH OF MISSED SCHOOL PER YEAR!!!!!!!!!!!!!!!! Last year at our System Leader’s day we spent time discussing the importance of regular attendance. Simply put in order for students to receive quality learning experiences, to be able to engage in their learning fully they need to show up each and every day, every day counts. We had a goal as a system and as a school to reach 90% attendance. I am very happy to say that last Year’s 7, 9 and 12 met that target, with Year 10 very close to that target. This year we will continue with our College Attendance Plan. 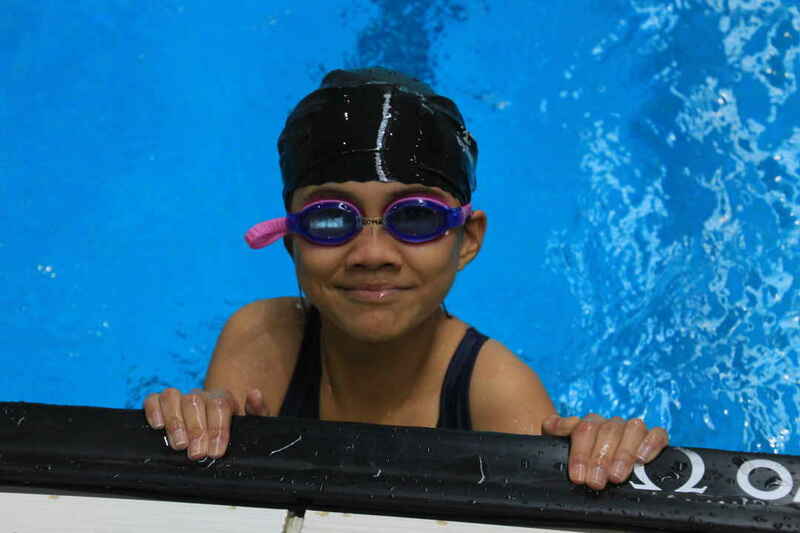 Our goal in partnership with you is to have a consistent daily attendance rate over 90% for every year group. There is no substitute for being in class. I would encourage parents to make all appointments for outside of the school day (this includes Thursday sport) and reconsider family holidays during the school term. We need as parents and teachers to be sending the same message. Being at school is a priority. We certainly understand that there are times when students are sick and need to be at home to recover. If you are having problems relating to attendance or would like further advice, please do not hesitate to contact the relevant Leader of Learning Pastoral, Mr Matthew Paton our Assistant Principal - Mission and Wellbeing or one of our school counsellors Helen Holubinskyj and Kathryn Rogers. A reminder about our processes for attendance can be found in the student diary. I was very pleased to see our students return to the College well dressed and conforming to our College expectations. We appreciate your support in ensuring that our staff can focus their conversations with our young people around their learning. A reminder that our P and F Meeting (7.00 pm) will be held following the Year 7 Parent Information Evening (6-7 pm) on the 27thFebruary held in the La Valla Centre. Insurance Cover: As you know the College is part of the Diocese of Parramatta. Our Insurance for students is made at this level with CCI Insurance. I have included a copy of the schedule of payments as a result of an accident. This insurance would be termed as a light level of cover, it is therefore important to understand the benefits paid out, will not fully cover medical costs. I thank the parents that have given feedback regarding the level of cover. I have relayed this to the relevant director at CEDP. 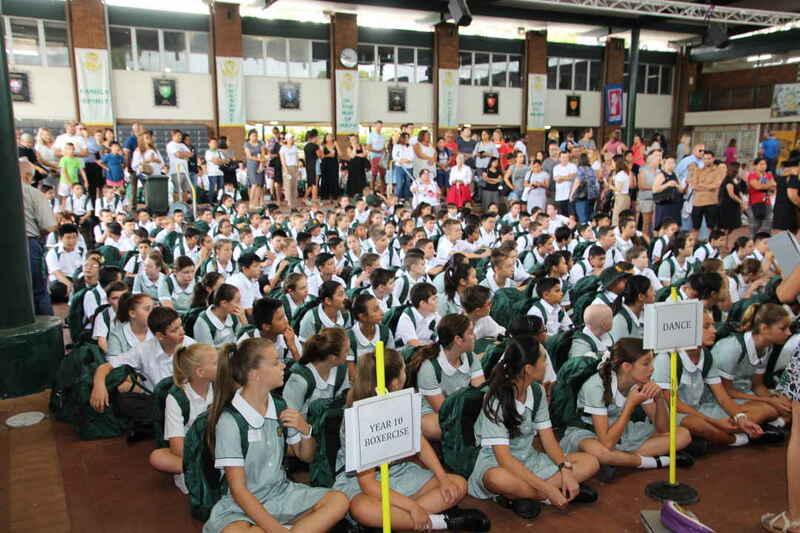 It is almost time for Term 1 school fees to be sent out. We have attempted to include all costs throughout the year to the schools fees, which helps for the costs to be spread over the year. There are a small number of exemptions including fundraising for Caritas and our College Walkathon, please see the Fees Schedule for more information. There is further information regarding fees in this newsletter. A reminder of the Diocesan policy regarding a student leaving the College during the year. A term's notice (10 school weeks) in writing must be given to the Principal before the removal of a student or a full term's fees will be payable. The notice can be given any time during term for the next term. If at any time you find yourself in difficulties with the school fees please contact our Fees Secretary Ms Rolla Wadih or myself as soon as possible. We are looking forward to a successful and rewarding 2019. 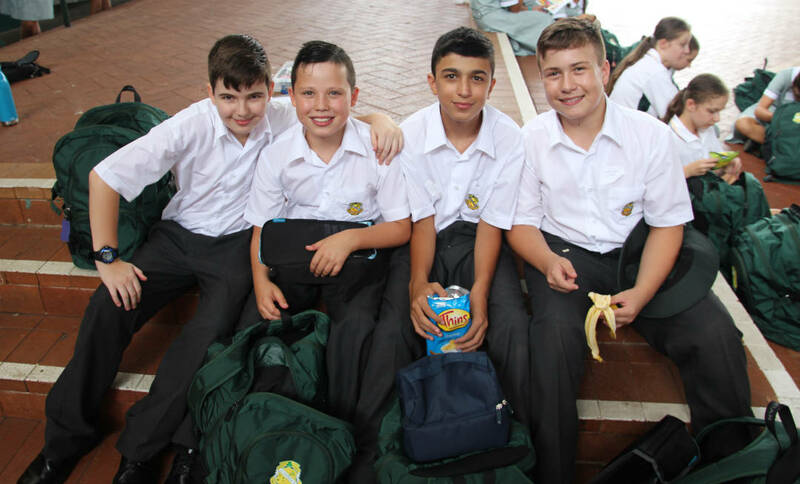 Welcome back to another school year at St Patrick's Marist College. We certainly look forward to another fantastic year with lots of opportunities for our students to thrive. Throughout the year we will have a significant focus on student wellbeing. There will be times throughout the year for you to engage with the College in having a say in what we can do together to help our students in the area of Wellbeing. To begin this year, there are just a few important items that we need to make you aware of at the beginning of our school year. Towards the end of Term Four 2018, the students had the opportunity to listen to Susan McLean, not only nationally recognised, but recognised worldwide as one of the foremost authorities on Cybersafety. We have booked Susan in for a Parent Information Session on Thursday 28 March at 6.00pm. We certainly would encourage you to come along and listen to Susan as she will provide the skills as to how you can monitor and promote safe online behaviours at home. Please register your attendance at the office. You are more than welcome to invite members of your family who have students who attend other schools to the evening. Please just indicate how many will be attending when you confirm your attendance. This night will be held in the College library. 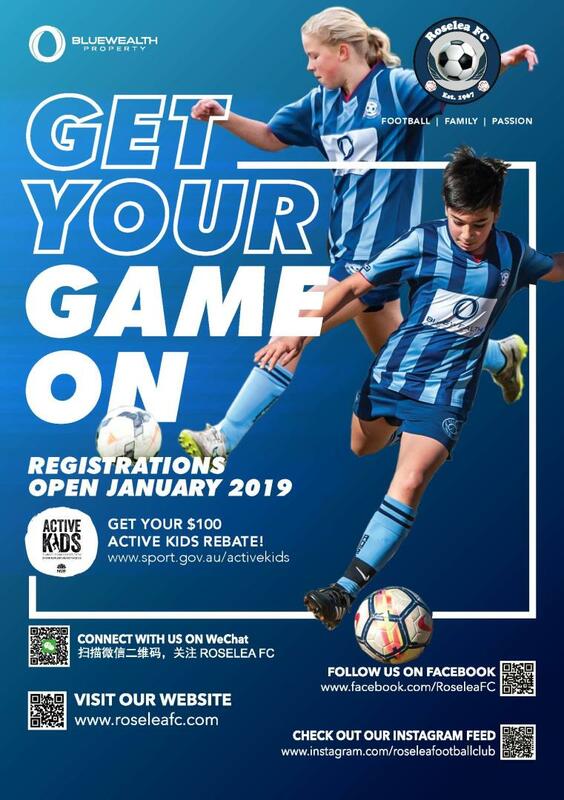 registrations will close on 14 March 2019. Our goal is a call to holiness in a practical way (Mission) for our own time, with all its risks, challenges and opportunities. The invitation is to all of our community to experience opportunities for spiritual formation and learning. This is the second year of our three year formation plan, with 2018 focusing on Reflection which leads us into Mission in 2019. As we are situated in a residential area, we do need to be mindful of our neighbours. Over the past couple of years, there have been concerns raised in regards to parking on Baronbali and the surrounding streets. 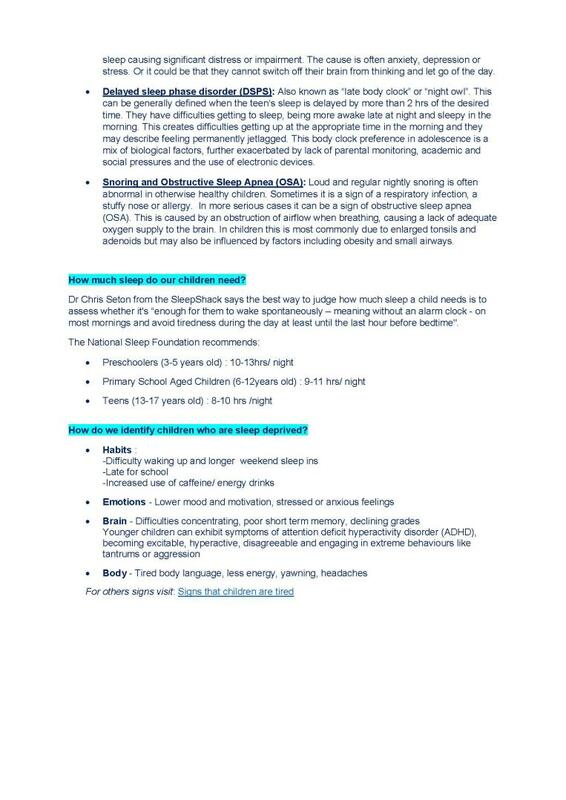 Attached to this newsletter is a letter we received from Parramatta Council in regards to this. I have spoken to Year 12 students and those who are driving, about being more considerate about where we park. We would ask that you also do the same. If this was to continue we may end up losing these spaces for our community to use throughout the year. 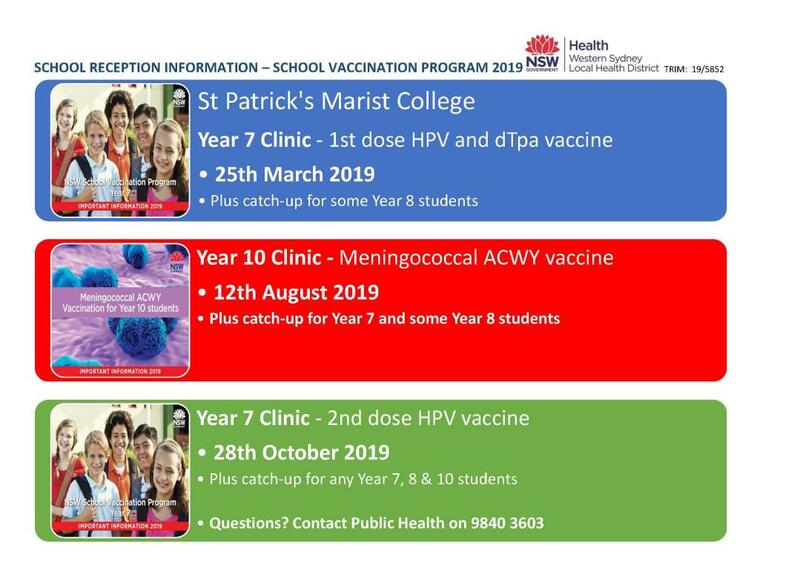 Included in the newsletter is some information for our Year 7 and 10 parents in regards to vaccinations this year. Students will be handed out the consent cards this week which will need to be returned by the end of Week 4. If you do not want your child to participate in the vaccination program, could you please indicate this by writing a letter addressed to your child's Pastoral Leader of Learning stating that you would NOT like your child to participate in the Vaccination program for 2019. We have very high expectations of our students as they travel to and from school, as it reflects upon the pride they have in themselves and in the College. While travelling on any form of public transport, the usual College expectations apply with regards to behaviour. Students are expected to be considerate of the rights of other travellers, to follow drivers’ and all State Transit personnel’s instructions and to board and alight from transport only at designated stops and in a considerate manner. Additionally, all students are expected to use their OPAL cards when and if necessary. 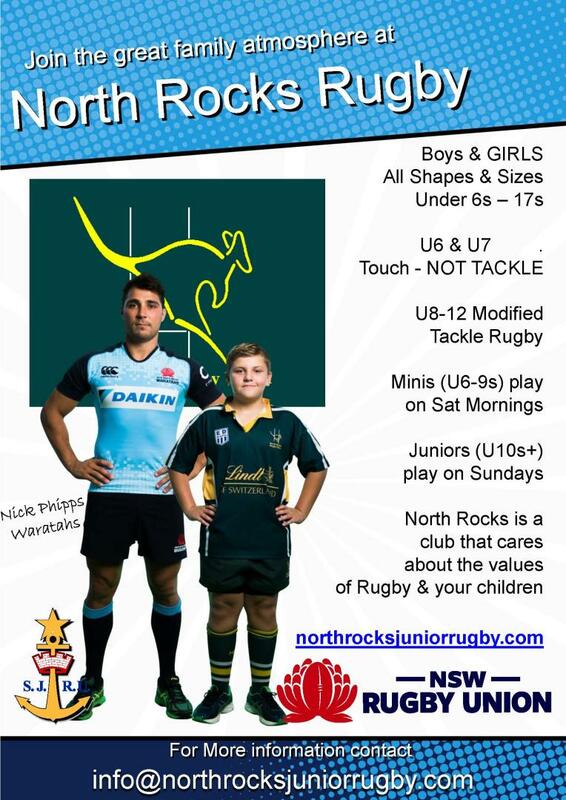 Max Wahbe has been a member of St Patrick’s Marist Dundas since Year 7 after graduating from Christ the King, North Rocks. Serving as one of our College Vice captains for 2019, Max has been involved in many aspects of College life. From MCS Soccer in Year 7 to the 2018 India Immersion trip, Max has strived to be the epitome of a Marist. 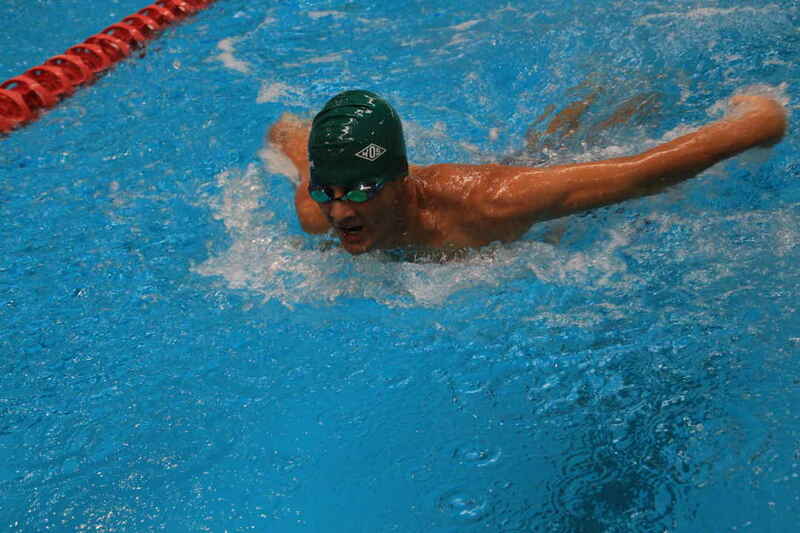 Max’s involvement in MCS sport throughout his College life highlights his passion for being part of the community. 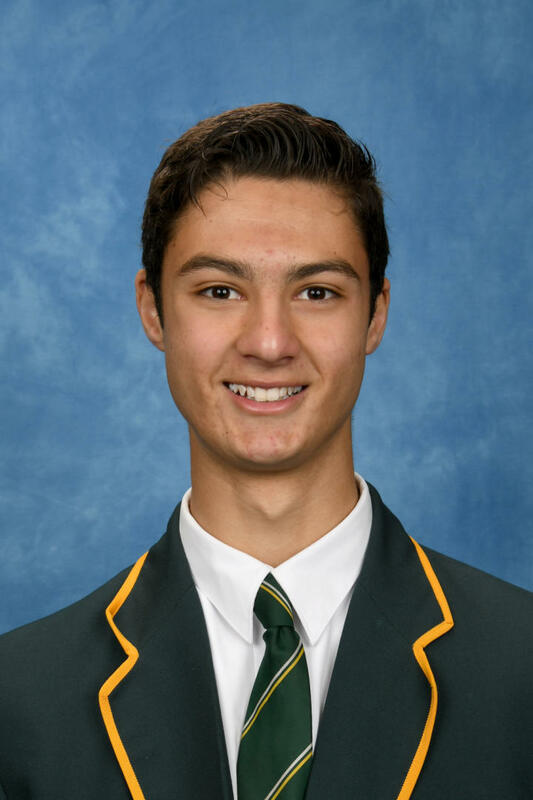 Not only is Max an impeccable sportsman, winning the sports award every year without fail, he has also participated in Marist oratory and continues to achieve academically. Max’s strong belief in his Marist faith is a pivotal driving point for his passion for servant leadership. In 2019, Max seeks to ‘embrace family spirit throughout the College and enhance it through student involvement in every aspect of College life’. Max’s legacy doesn’t start with achieving College Vice Captain, he has participated in SRC and Peer Support and he’s determined to make his legacy – part of the College’s legacy. Max’s mantra is “The difficult we can do, the impossible just takes a little longer’. A new school year brings excitement, new beginnings, new opportunity and challenges. Learning is at the heart of our College community with every aspect of life engaging our students to reflect, think creatively, and to connect with others and God. 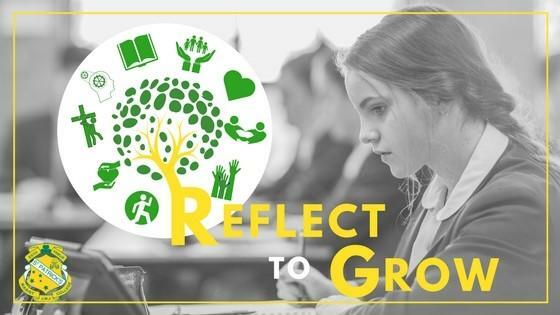 In 2019 we continue our focus on our theme for learning - ‘Reflect to Grow’. For us here at St Patrick's Marist, learning that builds young men and women for a wonderful and yet unknown future is encapsulated in Enquiry Learning. This year our teachers continue on a journey of learning, exploring student data, research around Enquiry Learning as a model and pedagogy. Enquiry learning places students at the centre of learning, challenging and affirming them in their roles as ongoing learners. We recognise the importance of positive relationships, of the need for academic rigor for all students and that work needs to be relevant for students. Students are engaged in collaboration work to build the necessary skills for their futures in working others, communicating in various contexts solving complex problems. Teachers will continue to build their knowledge and skills as contemporary educators through professional learning which will be centred on key aspects of our Vision for Learning – Clarity | Challenge | Culture. This focus seeks to build learning experiences where students have clarity in what they are learning, how it connects within their subject area, what success will look like through the evidence of understanding they produce and next steps in forging broader connections with other or new ideas. Each learning experience will also bring each student challenge, engaging each learner in learning that seeks to stretch their knowledge and understanding whilst building resilience and a growth mindset. Lastly, our learning experience is cultural, where high expectations, skills development, positive relationships are engendered. In 2019 the College continues with its key focus on literacy and numeracy skills for all students. We continue to work on improving literacy; teachers and students will continue to use 'Thinking Note Keys' as a primary strategy for comprehension and text annotation in all subjects. Further to this teachers will also target writing skills with students supported in their writing using the PALS strategy - PURPOSE | AUDIENCE | LANGUAGE | STRUCTURE. o Purpose - What do I want to achieve through my writing? o Audience - who am I writing for? o Language - What type of words do I need to select to achieve my purpose and reach my audience? o Structure - What structure do I need to use to achieve my purpose and reach my audience? This year the College continues its BYOD device program so that students may now bring any Windows or Apple device as part of their tools for learning, enabling students to engage in enquiry learning. Thus far, a smooth transition has occurred for students with their devices, with the usual small connectivity issues for devices which will be resolved next week. Parent partnerships are central to the success of student learning and this year we continue to encourage parents and caregivers to attend our Parent Learning Forums throughout the year. These information nights will provide parents the opportunity to observe the College's approach towards their daughter’s/son’s learning and support this learning in the home environment. Our Year 12 Graduates of 2018 have excelled in the Higher School Certificate. Our High Achievers have received an ATAR, that is a rank, of 90 or above. All our students from the class of 2018 did exceptionally well with 100 band 6 results and many Year 12 students receiving an ATAR in the high 80’s. 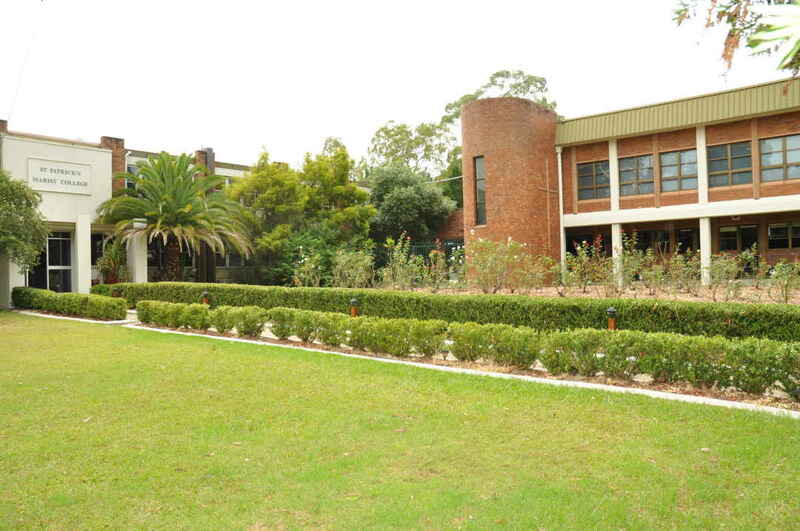 Our College is now ranked 88 in the State and second within the Parramatta Diocese, a wonderful achievement for our St Patrick's Marist community. It is an opportune time for our current Year 12 students to reflect on the journey ahead in their final year of secondary education. I urge all Year 12 to make the most of the opportunities. The often quoted phrase "do your best, no regrets" has many facets – commitment, organisation, routines, research, practice, dialogue, enquiry and feedback. These attitudes are actions that impact deeply upon your learning. What is central is that learning is not simply an isolated and independent venture. Learning occurs through deep connections, this builds the necessary skills for further learning in the adult realm such as resilience, collaboration and diversity. We encourage Year 12 to set their goals, set them high, set them now. Some advice given by Greta White and Jonathan Nakad (our 2018 College Leaders) was to always have a positive attitude towards your learning, work with your teachers, work with your peers and remain motivated. Remember your learning is not simply about six or seven subjects, its about transforming your mind and heart. It was also reflected that our Year 12 parents and families are also accompanying our HSC students with support and understanding. The HSC is truly a shared journey. We congratulate our high achievers for 2018. 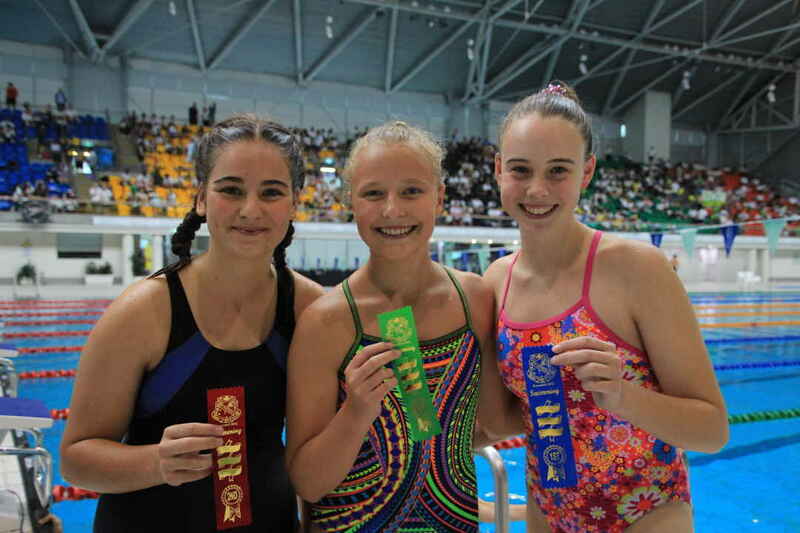 Chloe Bou Serhal (97.0); James Broekmans (96.65); Claudia Broekmans (93.55); Christine Chen (96.75); Christopher Fahey (91.9); Niamh Gallagher (90.85); Danielle Hamilton-Gibbs (95.05); Nicole Juric (94.95); Lukasz Lewandowski (95.05); Rebecca McCaughey (92.7); Jonathan Nakad (99.05); Andrew Nipperess (91.7); Laura Nipperess (96.2); Thomas O'Hearn (91.9); William Olive (92.75); Rebecca Ozer (95.1); Eric Saba (96.6); Annalise Schiraldi (92.45); Danial Shan (97.45); Brian Smith (96.9); Theo Sugita (98.2); Jacob Taylor (93.4); Gabriella Vancuylenberg (97.05); Grace Whatson (95.2); White, Greta (91.4). This year St Patrick’s Marist College celebrates with an amazing 12th in the State in Standard English awarded to Dominika Zhigunov. We congratulate our high achievers for 2018, and the entire cohort for their work, committed and personal achievements in their senior schooling. I ask that you assist your son/daughter to use their diary well. Parents are asked to sign the front of the diary accepting all policies contained in the diary. Good planning and organisation will greatly assist them in their learning. Please make sure that you sign the diary each week; it is an excellent resource that, when utilised, will assist students with their learning. Students need to get into the habit of writing down each subject for each period each day. Ideally this should be done on the weekend for the week ahead (highlight practical subjects that require students to bring equipment). Students are to write down homework when it is set and revision is to be undertaken when there is no set homework. Assignment due dates can also be placed in this section. Technology is normative part of our contemporary world and at school the use of technology is a tool to build the necessary skills of communication, collaboration and creativity. However, can I remind parents and caregivers that students can use their workbooks to complete homework, hand written work that is neat is also encouraged. We also encourage our students to be visible in the home environment when using their devices or to use the family device rather than their personal one. The College only uses the Google Platform (Google Classroom, Doc, Slides etc) which all students can access through any device at home. Your supervision and support when students are completing tasks at home is recommended. Homework learning/revision is an essential part of your child’s learning and I ask for your support in ensuring your son/daughter completes their homework each night to a high standard. Work set by teachers usually prepares your child for what is coming up in class and reinforces work covered. Homework can also take the form of preparation for assessment tasks. There is no such thing as NO HOMEWORK. It is an expectation that each student would revise work completed in class each day, read and plan for upcoming work, commence assignments and as such will always have work to complete. At the last P&F meeting for 2018, we were asked whether we needed assistance from our parent community in the form of another working bee. As the grounds of the school are so large, this is always much appreciated. So, I’m looking into organising a working bee for the morning of Saturday, 23rd February 2019. Further details will be sent separately, however, if anyone is interested, please mark this date in your calendar. We recently received a letter from Parramatta Council re parking conditions in Baronbali Street. Council advised that they received reports regarding parking by students and by parents during drop off and pick up times which is too close to property driveways as well as on both sides of the street effectively restricting two-way flow and access to driveways. Attached to this newsletter is a copy of the letter from Council and we urge students and parents in our school community to give consideration to local residents by parking in a legal manner as far away from driveways as is practical and when possible to park on one side of the street only. Please also consider local residents of other surrounding streets. Also, consider whether your child(ren) could use school buses and/or public buses, instead. Last Thursday we conducted both a lockdown drill and an evacuation drill. 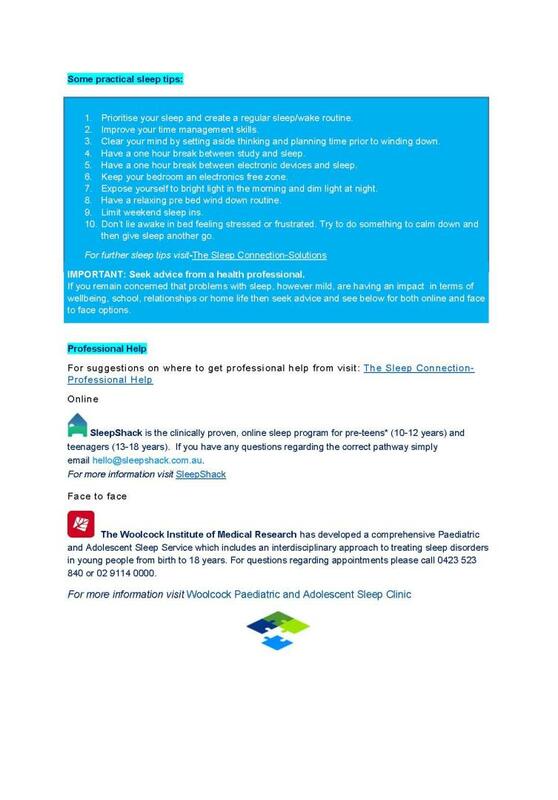 These drills are part of our routine WHS practice to ensure all staff and students are aware of our procedures. We will conduct these again at later dates during the year. Please note that students should not be contacting parents during these drills. In the event of an actual emergency, use of phones could alert an intruder or could result in parents calling the school and tying up our phone lines which we need to keep clear to liaise with emergency services. You do not need to come to the school as you could be endangering yourself and/or our students and staff. Our procedures are designed to keep students and staff safe while emergency services deal with the situation. Most excursions and incursions are included in the school fees. The Catholic Education Office will send school fees invoices soon and flexible payment arrangements will be offered by direct debit, BPay or Centrelink. This is the best way to pay your school fees, as they are processed via their office on our behalf and reduce our need to handle such payments. However, you can also pay school fees by Billpay at the local post office (most are open on Saturday mornings too, credit card over the phone or by EFTPOS or cash at reception. Please consider your child’s personal safety and do not send large sums of cash with them. For any other incidental payments eg money for formals, disco, etc. money should be put into a sealed envelope with student’s name, homeroom, amount and what it is for, on it and students are to put in the drop box at student counter. These are not collected by teachers. It would assist us greatly if you could put correct money in envelope. We have numerous gates around the external perimeter of the school as well as the internal perimeter and other specific areas. These are locked and unlocked by our general assistants, in the morning, after school starts, before school finishes and the end of day. In reviewing this process, last year, the decision was made that the gate at the rear of the school (at Dorahy St) will be locked by 8.30am and opened at 2.30pm, from the start of the 2019 school year. We have a vacancy for a part-time grounds/maintenance person (Monday - Friday 1.00pm – 5.00pm, negotiable). Indicative duties include (but is not limited to) lock up school’s gates at end of day, emptying rubbish bins in courtyard after lunch, and various grounds and/or maintenance assistance, as required. If you know anyone who may be interested, the role is advertised on the Catholic Education Office website, or contact me on 8841-7900 or vfraser@parra.catholic.edu.au. Recently, we were advised by Parramatta Council that the official address of the school is actually 171 Kirby Street, Dundas (and not 151 Kirby Street which has been used for many years). We will be changing our letterhead, website, etc in due course. A statement for the first instalment of the School Fee will be mailed to all families on 18 February 2019 and due on Wednesday 20 March 2019. Flexible Payment options are offered to all families at the start of each year, this provides families with the opportunity to select a payment plan that best suits their financial circumstances. Payments can be made via direct debt or BPAY on a weekly, fortnightly or monthly basis at no additional charge. Payment of fees can also be paid by: Credit card, direct debit, cheque, BPAY, Billpay, Centrelink payments, eftpos or cash. If you are paying with a large amount of cash this can also be paid at your local post office using Billpay. A reminder of the Catholic Education Diocese of Parramatta’s policy regarding a student leaving the College during the year. A Term’s notice in writing must be given to the Principal before the removal of a student or a full Term’s Fees will be payable. At St Patrick’s Marist we value our teacher/parent/caregiver partnership. To enable good communication, please find below email contacts of our Leaders of Learning, both Pastoral and Key Learning Areas (KLA). Timely communication builds strong partnerships with parents/caregivers and teachers to support each student with their learning and to develop ongoing strategies to experience success, both at school and at home. Please contact our Leaders of Learning if you have any concerns, require information or further clarification about College life. 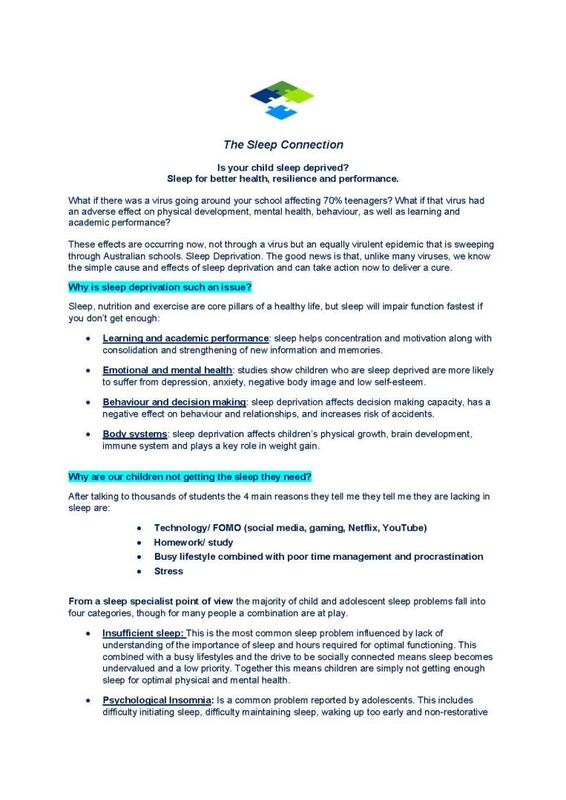 Our newsletter, ‘The Star of Peace’ is published fortnightly on our website and through the Skoolbag App which the College will be using as it's main source of digital contact to parents and caregivers. A link is also emailed to parents. The newsletter highlights the latest news and achievements from our students, staff and our Marist community. If you do not receive the emailed link to the newsletter, please contact the College Office on 8841 7900 to rectify. It is important that an up-to-date email is on file at the College to ensure that not only the newsletter but other important information is delivered to parents/carers in an accurate and timely manner. 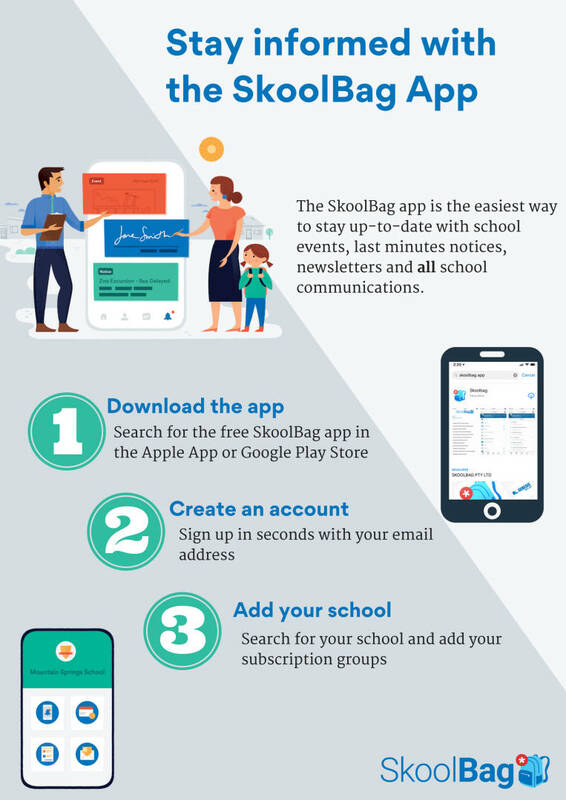 The College uses the ‘SkoolBag’ app to broadcast messages, show calendar items, reminders and other school notices delivered to your mobile device. Our SkoolBag user database will be updated with the latest emails we have been provided and you will be prompted to download the latest version of the SkoolBag app, change your password and sync your calendar so that you can add school events to your personal calendar from within the app and have access to alerts and content from your mobile. 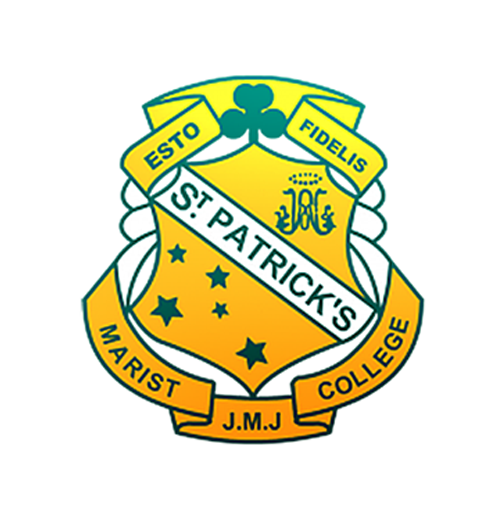 When adding our school, search for St Patrick’s Marist College Dundas when downloading from the App Store and St Patrick’s MC Dundas when on Google play. The College Facebook page is another avenue to stay connected, view photos and be able to witness events taking place. 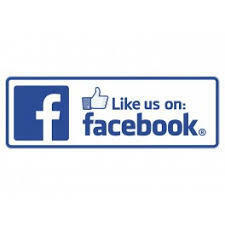 Like us on Facebook to keep up-to-date with events as they are happening within the College. You can contact me at clemottee@parra.catholic.edu.au if you wish to provide feedback, let me know of your son/daughter achievements outside of the College or if you have any concerns around communication here at the College. A warm welcome especially to our families who are new to the College. We are very grateful for this community and the servant hearts of our volunteers who generously give of their time and resources. We look forward to a great year! Year 7 Parents Welcome Cocktail Night – Friday 15 March at 7.00pm in the La Valla Centre Look out for your email invite that will be sent out shortly. If you have ideas, feedback or would like to be involved in serving please send an email to pandfstpatsdundas@gmail.com. I am very pleased to be working with this fine group of students once more. 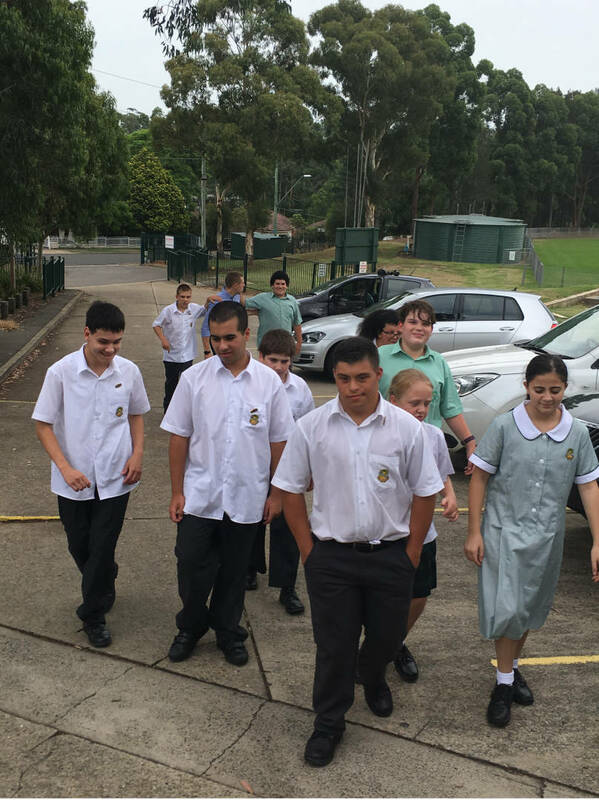 Year 11 have settled into Senior School really well and are becoming well acquainted with their supportive Homeroom Patrons, Mr Agius, Ms Gray, Ms Papoulias, Ms Dunston, Mr Shaw and Mr Moussa. For students the key message has been that everything from this moment on has an impact on their HSC performance and it is important that they continue to work diligently in class and maintain high standards in all activities. 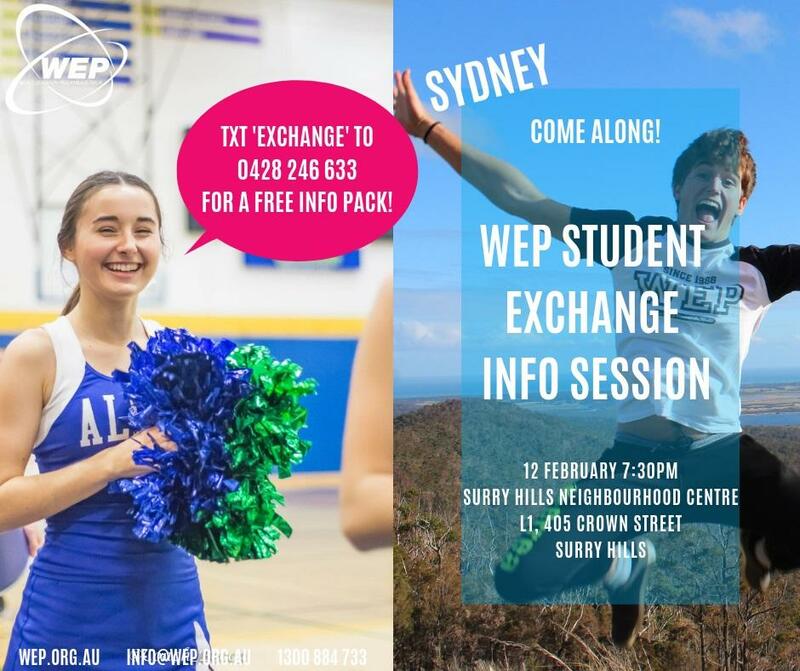 On another note, there is a Year 11 Parent Information Session on Tuesday 12 February from 6.00pm. Details to come. If you have any questions or concerns about your son or daughter's well-being, please feel free to email me at the College at dbonora@parra.catholic.edu.au. The College is aware that the Senior College Summer dresses are not in stock at the supplier. Students are to wear their 2018 uniform until the dresses come into stock. I would like to take this opportunity to welcome back Year 8 for 2019. 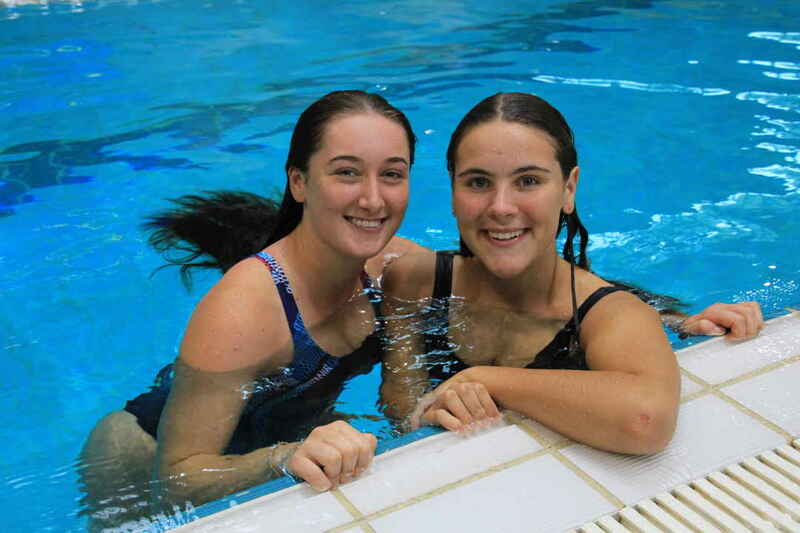 It has been a great start to the year already with a smooth transition back to classes and getting involved in our annual swimming carnival. No longer the babies of the school, Year 8 can be a difficult year working out who they are as individuals. We have a focus for our year group of working on getting the little things right so that the big things fall in place! Making good choices and being kind. All students have already been working on wearing their uniforms correctly. Majority of boys haircuts have been excellent and girls length of dresses/skirts have been fantastic. A few things that we need to think about are jewellery and chewing gum. Please understand that chewing gum is an instant Wednesday Detention. Again this year, we will be having "Keeping Track" running on Wednesday afternoons from Week 4. A letter will be coming home soon about this. Lastly, please ensure that you read and sign the front of the diary, it is a very important document that outlines all expectations of the College.I look forward to working with you and your child this year. 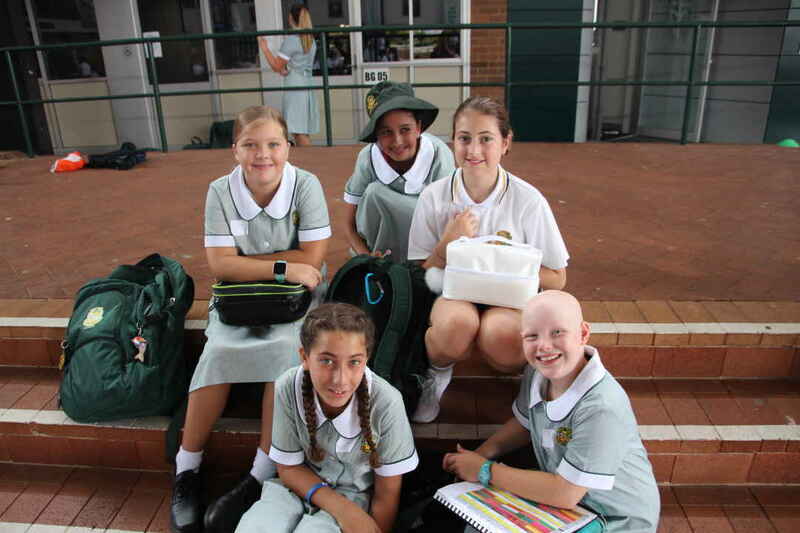 Year Seven 2019 have survived their first week of high school at St Patrick's Marist College! The students have had an extremely busy start, with several assemblies, talks by different leaders of the College and the swimming carnival. 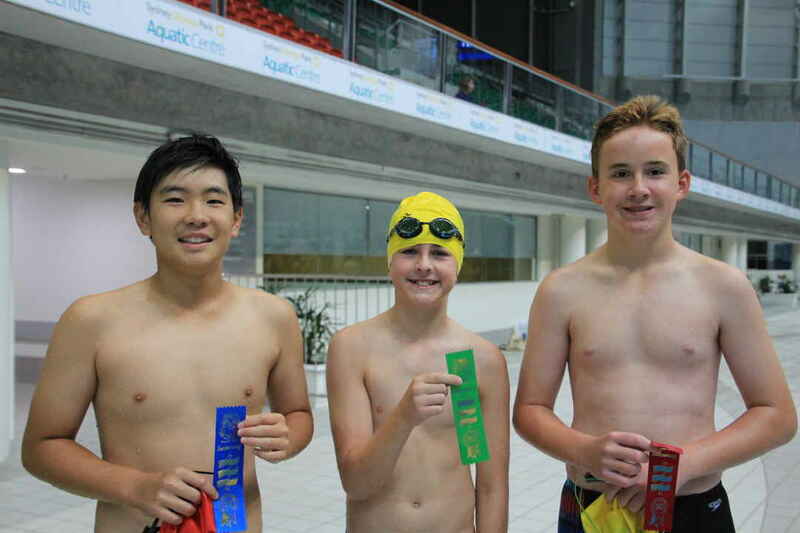 It was fantastic to see so many students competing in the pool and a big congratulations to the carnival winners, Edwin. 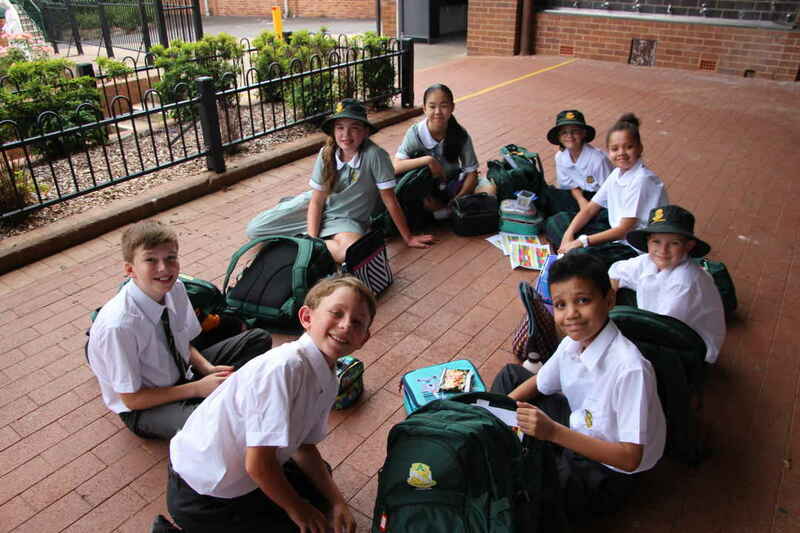 Week 2 will see Year 7 becoming involved in the regular high school life activities including; homeroom, different school lessons, peer support (not being the leaders!) and full school assemblies. The students seem very settled and always have big smiles each and every day. More to come I’m sure! Welcome to English 2019! 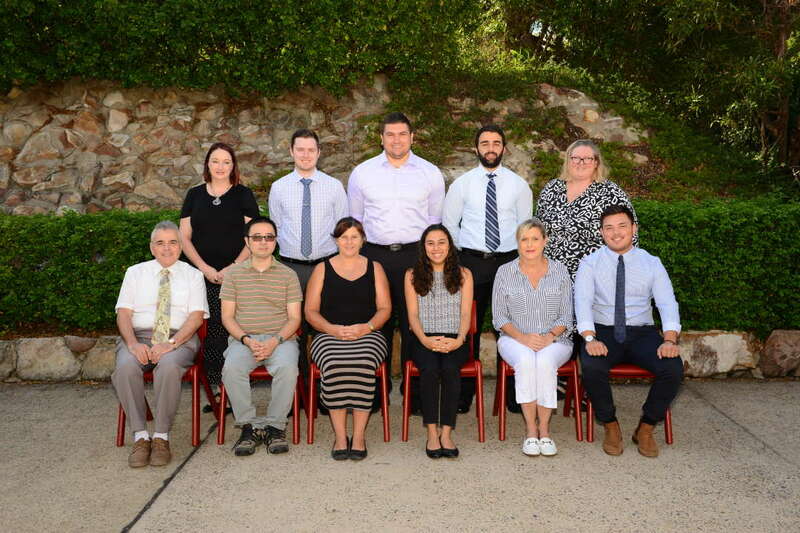 Last year was a very exciting year of development and growth for the English faculty and all the students in the school. We are ready for another wonderful year of English and are passionate about the learning of our students. Our 2018 HSC results were fantastic and we congratulate all graduate students on their success. In the English Extension 1 course all students achieved an E3 or E4 result. In the English Advanced Course, 80% of students achieved a Band 5 or 6 result. In the English Standard Course, the percentage of students who achieved a Band 5 or 6 result increased from previous years, with 10% of students in the course achieving a Band 6 result. Dominika Zhigunov placed 12th in the state for her English Standard HSC result and our College ranked 10th in the state for the English Standard Course. This is an amazing achievement and testament to the hard work of all students and teachers! This year students will be engaged in active learning in their English classroom and will be challenged to think critically and creatively. We continue to hold high expectations for our students in English and expect that students engage in learning (reading, writing and revision) outside of the classroom to further their understanding of content and skill development. In the coming weeks, Education Perfect will be setup for Years 7-10 students to access and use to refine their literacy skills. The English team have developed engaging units of work that allow all students to demonstrate achievement of the syllabus outcomes. 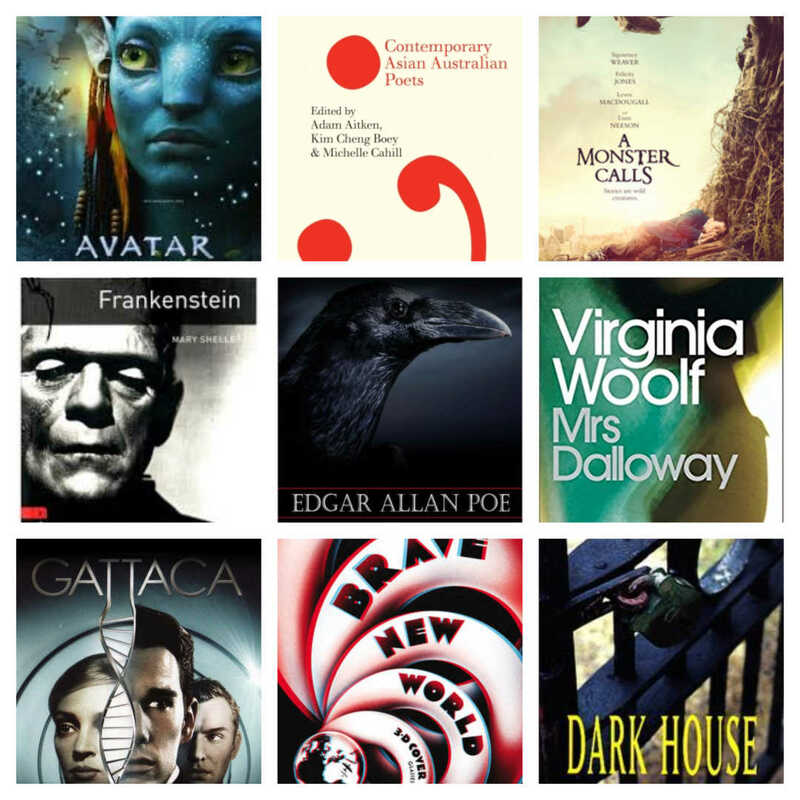 Here are some of the texts Year 7-12 students will study in Term 1. We look forward to another productive and engaging year of English! We welcome your support and involvement in your child’s learning. 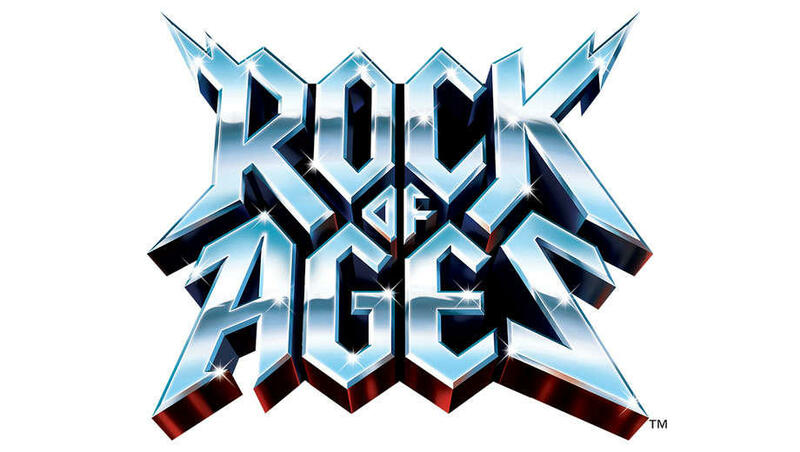 The Performing Arts Department have been very busy already this year with auditions and rehearsals commencing for the 2019 College Musical ‘Rock of Ages’ and we now have a fantastic cast who will be energetically rehearsing during Thursday sport. It is pleasing to see so many wonderful singers, dancers and actors showcasing their creative talents for the College. If there are any new students who would like to be involved in the Musical, please see Ms Andrews or Mrs Lyons as soon as possible this week in the Performing Arts area! Year 10 Band ‘Saturn V’ - V is for Victory!! Our wonderful Year 10 Band has represented the College at two Battle of the Bands competitions recently - and won both of them! They competed against many schools in the Parramatta and Hills Districts to be chosen to perform in the Castle Hill High School Battle of the Bands Competition last December in the last week of school, and won First Place as the Judges favourite Band, winning professional recording studio gear so that they can start to record their own original songs. 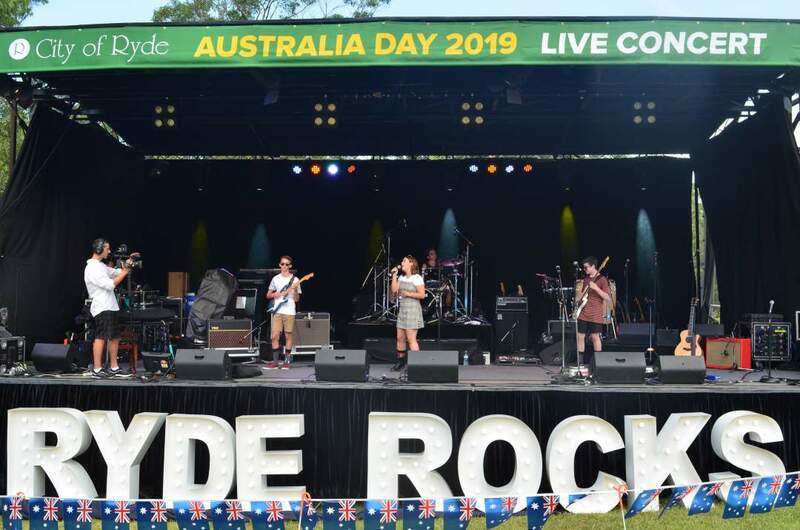 The Second Competition was the recent Ryde Battle of the Bands on Australia Day where they were chosen as one of the top three bands that would compete on the day in an outdoor gig at North Ryde Common to a couple of thousand people. They played a 15 minute set of three original songs that the Band composed. 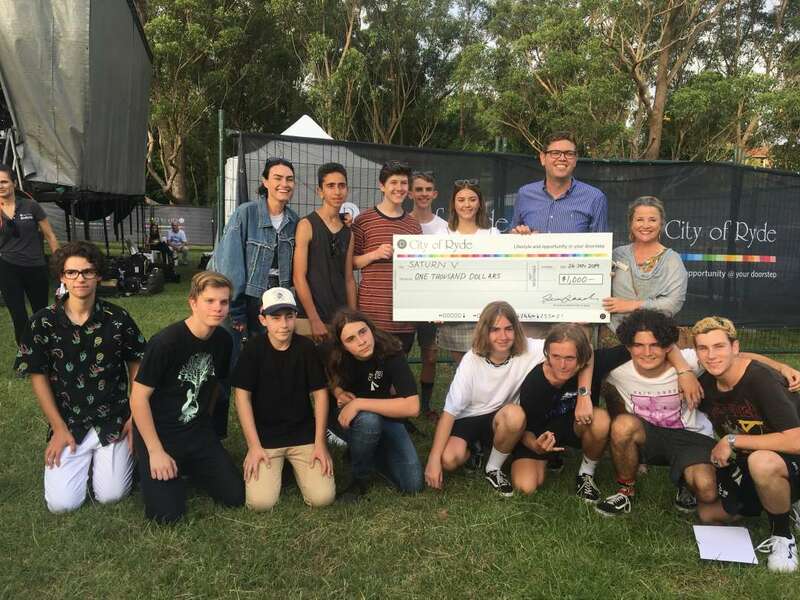 Again, they were voted as the winners and won a top prize of a $1000 cheque and a recording and mastering session at Studio 301.There were six judges at the event, including lead singer of the band The Preatures, Isabella Manfredi and Ryde Councillor Penny Pederson who later offered them a radio interview on her station 99.3 - The Northside Radio, which went live to air on Friday 1st February at 6:20pm and she played their original song ‘Paralysed’ over the radio. 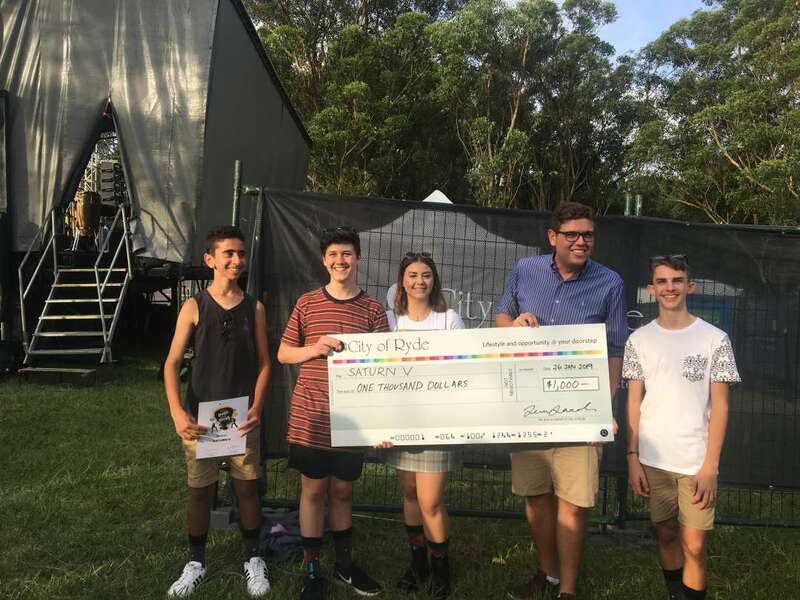 Congratulations to the Year 10 band members Alexander Bozanic, Marissa Browne, Toby Gott and Anthony Khatchigian for sharing their creative talents with others and for so proudly representing our College with the guidance of their Music Teacher Mr Liam Heffernan. Please direct further inquiries to Ms Andrews by email at: tandrews2@parra.catholic.edu.au. Our first week back has been very busy and exciting. On Wednesday, all the students arrived and were settled into their new classrooms and met the new students to Wiyanga. On Thursday, the students were challenged with both a school Lockdown and Emergency Evacuation in the morning. The students had been prepared with Social Stories and a whole class practice the day before, hence they responded to the alarms and teachers instructions beautifully and were calm and quiet. 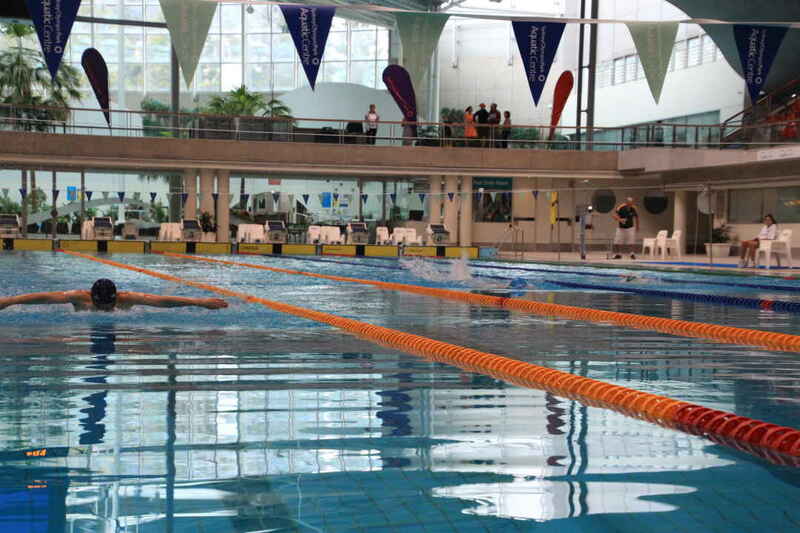 We finished the week with the Swimming Carnival at Homebush Bay Aquatic Centre. Students arrived pumped and ready for the exciting day ahead. 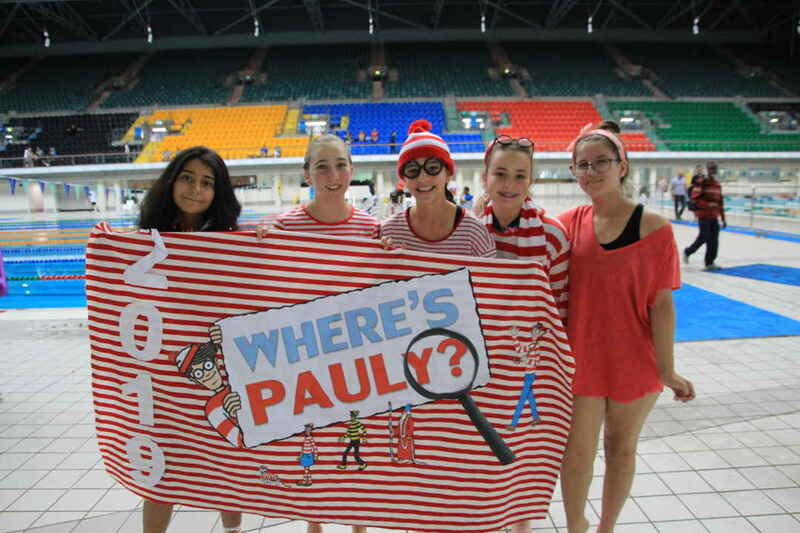 Once we arrived at the venue, the students cheered on Hayley and Daniel, as they both took on their peers in 50m Freestyle. The rest of the day was spent enjoying the play area, where they went down water slides, splashed in the pool, sprayed each other with hoses and stood under the bucket while it poured water over them. After lunch, students went to the whirlpool, where they enjoyed some imaginative play as they were pushed through the water. 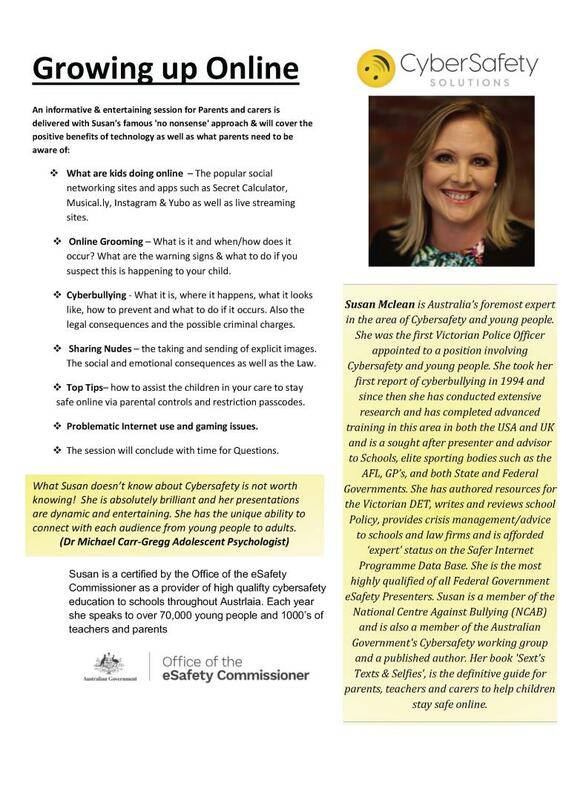 Susan McLean, nationally recognised as one of the foremost authorities on CyberSafety will be presenting her informative and entertaining session for Parents and Carers titled "Growing up Online".